10.1 This Agreement shall be governed by and construed in accordance with the law of England. This agreement shall not be governed by the United Nations Convention on Contracts for the International Sale of Goods, the application of which is hereby expressly excluded. In particular: Microsoft®, Outlook®, Windows 95®, Windows 98®, Windows ME®, Windows NT®, Windows 2000 Server®, Windows 2003 Server®, Windows 2008 Server®, Windows XP®, MS-DOS® and Windows Vista® are registered trademarks of Microsoft Corporation. 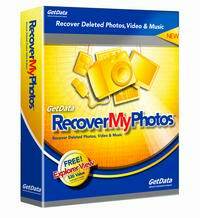 RecoverMyPhotos™ is a trademark of GetData Pty Ltd.